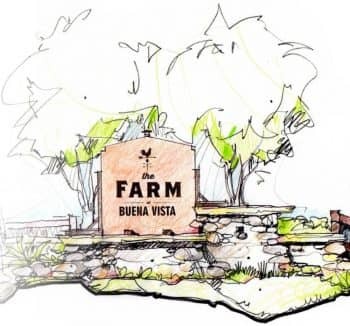 The Farm is being developed by Fading West which is a company born in the heart of the Colorado Rocky Mountains with the goals of creating communities of attainable, high quality, architecturally, interesting, fee simple homes for Buena Vista. Fading West was founded to help provide an option for home ownership in Chaffee County, so people can stay, live in, and invest in Buena Vista. Fading West believes in building communities, not just housing. To that end, The Farm is designed around a “pocket” community concept where each home is accessed from the back of the lot along one-way roads and the front of each home has a large porch that opens onto community green spaces. The Farm HOA will maintain the community green spaces and will also help to maintain the architectural consistency of the community. The six home models feature a “Contemporary Farmhouse” theme and include two townhome floor plans with 2 or 3 bedrooms, two narrow lot detached floor plans with 3 bedrooms, and two wide lot detached floor plans with 3 or 4 bedrooms. Address: 301 E. Main St.